Muskerry News | Congratulations Pat! The 31st Charity Trout Competition on Lough Lein in Killarney was once again a resounding success with €10,000 collected and equally divided between two local charities. 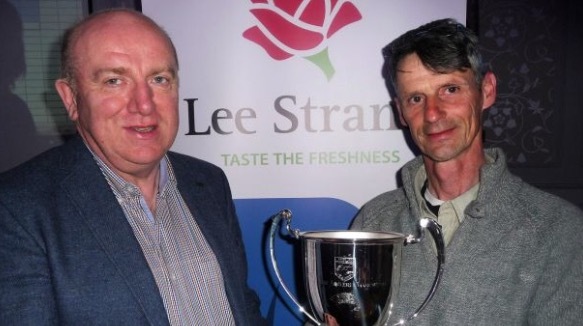 The competition is held under the auspices of Lough Lein Anglers’ Association and this year 73 competitors from across Ireland took to the waters of Killarney’s treasured lake. Weather conditions were ideal with plenty of cloud cover and light breeze which resulted in 121 trout presented for weigh-in at Ross Castle. Blarney man Pat Hoare took the honours on the day with eight good trout to win the Hegarty Perpetual Cup.